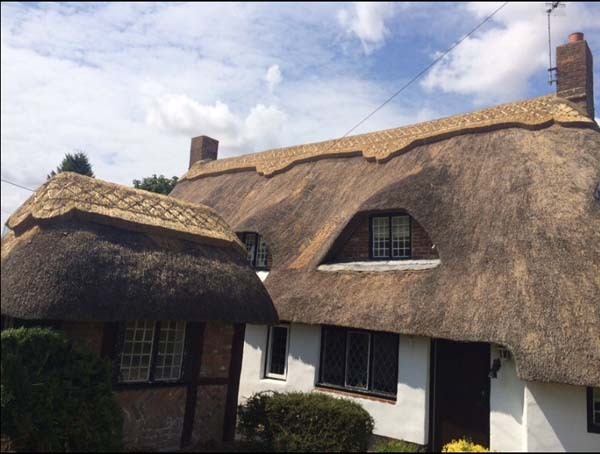 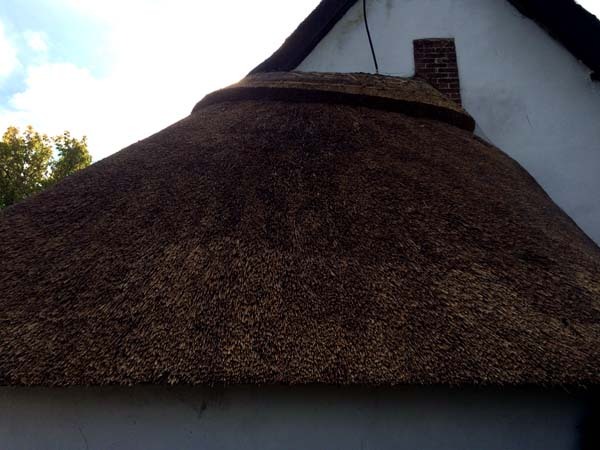 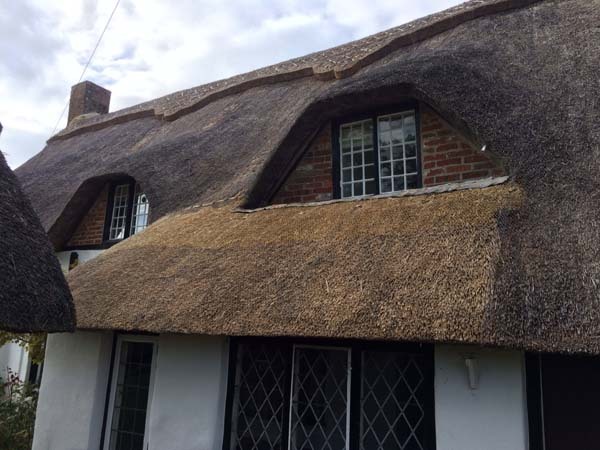 KH Thatching completed an ornamental block ridge in wheat reed on the main cottage, out building and porch in Tarrant Monkton. 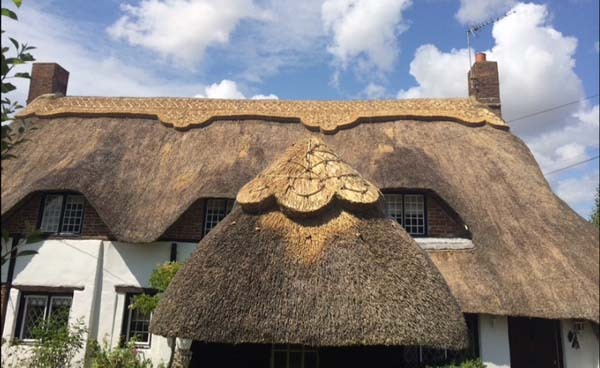 The ridge has been finished with a straight cut with three scallops in the middle and scallop under both chimneys. 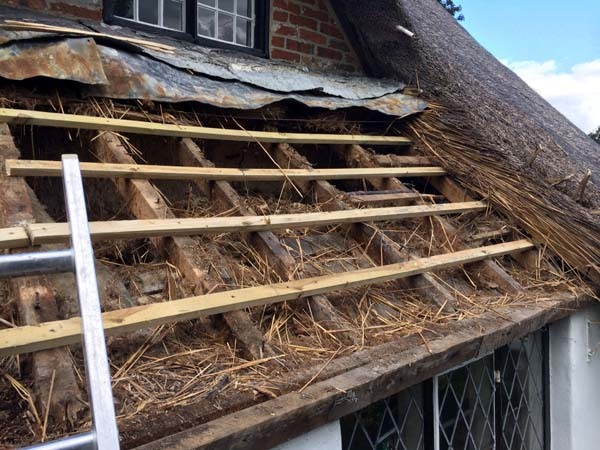 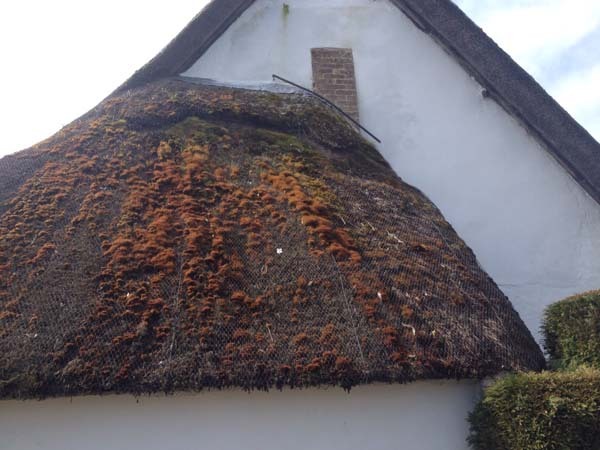 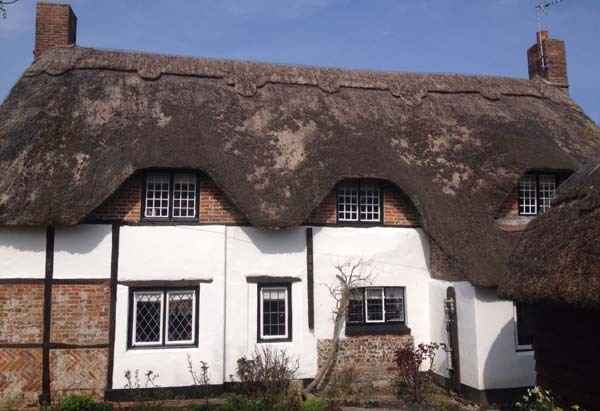 The lean to and part of the cottage was re thatched in Water Reed due to weather damage.